If you’re wanting to create better shelf advertising then retail shelf talkers are for you. 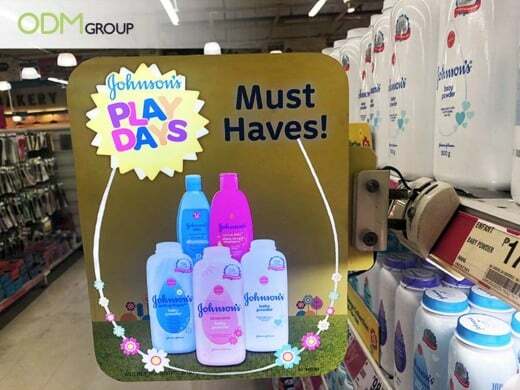 These promotional shelf talkers are designed to catch the eye of the shoppers. The bright colours and impressive designs draw attention to your retail product. Are There Brands That Use Retail Shelf Talkers? Well, majority — if not all, retail brands utilise shelf talkers on most of their promotional campaign. In fact, we’ll link a few case studies about brands that use this incredible shelf marketing. Here’s a good one from Purefoods. We love how the images create an interesting texture. Unlike other 2D banners and shelf talkers, the graphics protrude a bit, making 3D-like images. This makes the whole display more interesting and attention-grabbing. In this case study, Coke uses a full HD colour print which makes it even more attractive. This stands out from the rest of the brands on the retail shelf. Great design easily attracts shoppers – Smart design is paramount to any promotional items. Luckily, our team of product designers will help you create an advertisement that helps a lot in brand promotion. Because always remember that a lot of great marketing ideas are wasted when the design doesn’t work to attract your target market. Send a catchy message – You don’t have to write your company’s vision/mission for customers to check your products. In fact, you only need to work on clear, simple, and straight-to-the-point phrases. Let us cite an example from Pedigree. Their catchphrase, “you brush, they chomp” intrigues shoppers which is a really good move for the brand. Check out the blog below to learn more. More affordable than TV and/or billboard advertising – TV and print advertising is pretty expensive especially for brands that have a tight marketing budget. And these shelf talkers don’t even meet half the costs required to operate these leading advertising platform. Also, shelf wobblers are effective in targeting people that are already thinking of buying something, hence the primary reason why they’re in the supermarket. Therefore, brands would just need to convince these shoppers to choose their products. Hard to miss – Shelf talkers are like the mini-billboards of the supermarket. The bright designs and incredible positioning make them an effective promotional item for brands. When you are inside the supermarket, you will immediately see the shelf talkers even when you are still approaching the aisle. Overall, this proves how effective these tabs in catching customers attention. If you would like to create your own set of retail shelf talkers, feel free to contact us. We are always ready to answer all your promotional, marketing, and manufacturing queries anytime. The manufacturing process of this custom POS display is fast and cheap since the design is straightforward and simple.